How hard is it to change a laptop hard disk? - Ask Leo! Is it difficult to change the hard drive in a laptop? Well, difficult is a relative term. Some people find changing a hard drive daunting, while others do it easily. Personally, I don’t consider it that hard. Let me go down a list of things that you need to look at when you are thinking about replacing your laptop hard drive. 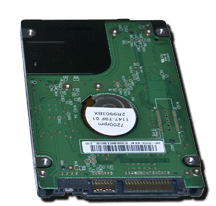 First, make sure that your replacement drive has the same physical size as the drive that’s in your existing laptop and uses the same interface. The good news is that almost all laptop hard drives are the same size and use some form of a SATA interface. Naturally, make sure that the drive’s capacity is as big or bigger than the drive you’re replacing. You want to make sure that you have at least as much room as you had before. This is a wonderful opportunity to actually get a bigger hard drive if it’s in your budget and increase the amount of space on your machine. This should come as absolutely no surprise. Normally, I say to back up as part of a safety net. In this particular case, when we’re going to replace the hard drive, your backup is actually a key part of the process. Take a full system image backup. Get that to an external hard drive or some other form of storage and set it aside. You’re going to be using it later in the process. While you’ve got the backup program running, create the backup rescue media if you haven’t already. The rescue media is what you eventually will boot from to run the backup program to restore the image that you just took. Make sure that you can boot from that rescue media. This is a step that many people overlook. Rescue media from different backup programs don’t necessarily always work on every machine. More commonly, it doesn’t always see all of the possible external USB drives that are out there in the world. Once you’ve created your rescue media, reboot your machine from that media and make sure that the copy of your backup program that’s on there can in fact see the backup image that you just took. Now, physically replace the drive. Unfortunately, the specifics for this depend on your specific computer. Sometimes it’s as simple as a single screw that releases a simple cover behind which you’ll find the drive that you can then simply eject, pull out or remove and replace with it’s new counterpart. On others, it’s a little bit more complicated than that. But it boils down to the same thing: getting access to the drive and physically swapping in the new one. You’ll need to consult the documentation that came with your computer or if it doesn’t go into this level of detail, go to the manufacturer’s website and look for the documentation that discusses this kind of operation. Once you’ve replaced the hard drive, obviously your machine is no longer going to boot because the operating system hasn’t been placed on that new drive. When you reboot from that rescue media, it’s going to fire up a copy of your backup program. Then, using that backup program, you’ll attach your external drive (or wherever your backup image was placed) and you will now restore that backup image onto to the new hard drive. What you’re doing is you’re copying all of the data that’s on your old hard drive that was saved in this backup image to the new drive. After you reboot, things should just work, and 99% of the time I would claim that they usually do. You’ll want to look at one last thing once you’ve actually replaced the drive and have Windows running. If you got a larger hard drive, you may find that your backup program created a partition on that drive that is exactly as big as your old hard drive. What that means is that the hard drive hasn’t taken advantage of all that additional new space. You’ll need to run the disk partition tool in Windows. You’ll find it under Disk Management. In Windows 7 specifically, this tool allows you to resize the created partition in such a way that it becomes the size of the entire hard drive and makes all of that additional space available to you. Hopefully, that doesn’t sound too overwhelming. Is it easy? Is it hard? I don’t know. I can’t speak for you, but those are the steps that are generally involved. « Previous post: What if the forwarding service goes away? The first thing I always do with a new laptop is to replace the HDD with a SSD. I find it to be dead simple. Takes only a couple of minutes depending how many screws are being used. What take a bit longer is the OS imaging of the HDD and the image restore on the SSD. I replaced my laptop hard drive because it was under warranty and I was sent a replacement. I found the directions on YouTube very easy to follow and it worked great! I have also replaced memory following internet directions. The internet has saved me lots of money that way, and the worst thing that can happen is that I’ll pay someone if it doesn’t work after I try. My mother used to say “nothing ventured, nothing gained”. you can replace the hard disk in another way, if you have access to an external casing for hdd. in such case you can if the new hard disk in the external casing. as usual first take up backup of one or more partitions if you have backup facility. additionally you can also create a restore disk. 1, in the existing laptop install easeus backup todo. 2.connect external new hard disk to the computer. 3.run easeus toso backup and make a clone of the existing laptop hdd into the new hdd. 4.shutdown laptop, take out the new hdd from external hard disk and replace the existing hard disk in the laptop with the new, cloned hdd and close laptop. 5. start the laptop now. if everything is ok, it should boot into the new hdd and with all partitions in tact. 6.run disk management now and check whether any unused space is available. if available, it will be after the last partition. 7. if you now want to use that unused space, add it to the last or adjacent partition. Your first two paragraphs are for a beginner, almost contradictory, as you are in the first saying apparently, “make sure it fits”; followed by saying on the second “as big as possible”. Perhaps you should clarify that the first paragraph applies to the PHYSICAL Dimensions of the drive, whether measured in Imperial, Metric or any other similar standard, whilst the second paragraph applies to the Storage CAPACITY, generally measured in Megabytes or more recently Gigabytes. Minor – but could confuse those first venturing inside a laptop etc. I would also suggest that such a person should first search for photographs, videos etc which show a Laptop and such-like being opened up, familiarising themselves with the various types of (hidden) screws, fasteners likely to be encountered. Then the various types of connector used inside – the flat flexible copper strip, trapped by that hardly visible black bar that has to be flipped up to release the connector – remembering to flip that bar down again when re-assembling. I am amazed that the various conductors on such connectors manage to line up properly, having designed several early PCBs. Take photos at each stage. Thanks for pointing out the confusion. I’ve clarified it a little. A couple things not covered here. As one reply mentioned, the hard drive connector. Is it a Sata drive or a Pata (ide, older) drive. They’re not interchangeable. If the laptop was manufactured more than 2 years ago, it may be either. Also last week I went to swap hard drives on this Thinkpad and it wouldn’t recognize the drive. Bios stated it had to have the correct firmware installed or something to that effect. Proprietary hardware? Anyway not knowing how to obtain and install the firmware halted the idea. Thanks for your articles, Leo.